Divorce Lifeline offer advice and recovery to those who have had their divorce settlement undervalued by a solicitor. Divorce Lifeline identified that they were receiving very few enquiries organically. 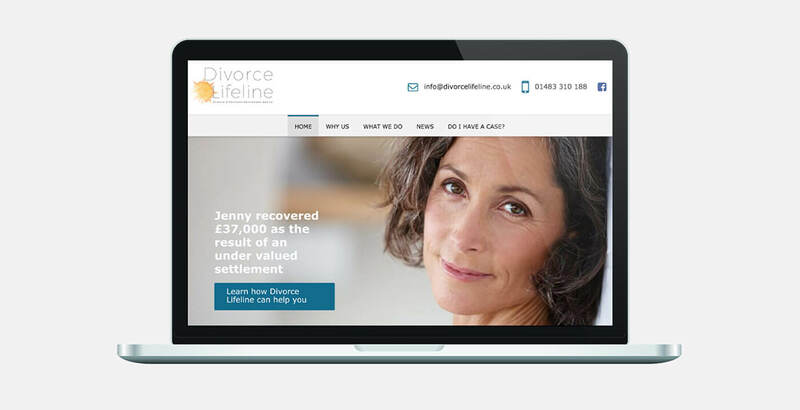 Air Social was hired by Divorce Lifeline for an image re-brand and complete overhaul of their digital presence. By redefining their brand values, Air Social provided Divorce Lifeline with an engaging and trustworthy brand identity. Air Social initiated a tailored Facebook and Instagram advertising strategy, reaching out to relevant individuals to start new conversations, all set-up in-line with the objective of generating leads.